Rising prevalence of diabetes in the U.S. as a medical crisis comes with many additional concerns. Access to monitoring capabilities such as the HbA1c test is incredibly important for preventive care for people with diabetes. 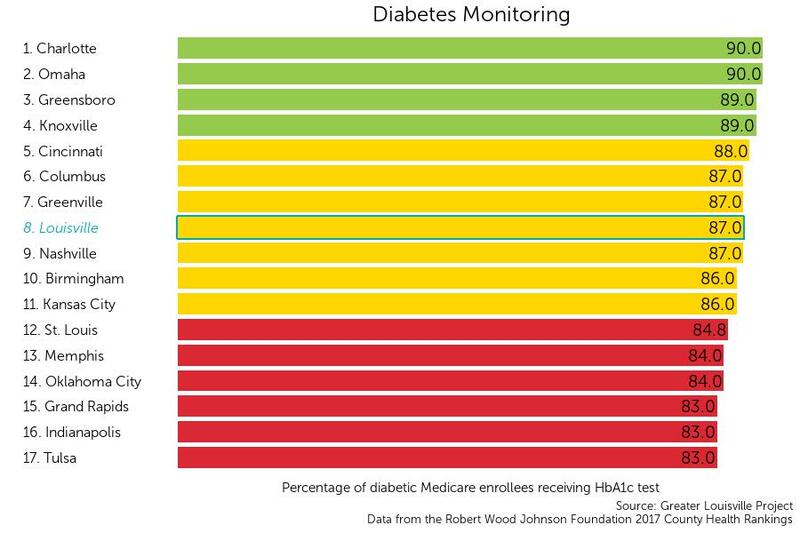 Louisville currently ranks 8th among its peer cities in percentage of diabetic Medicare enrollees receiving the HbA1c test with 87% of enrollees being tested.